Sally Norton is dedicated to improving the care of patients with advanced illness. 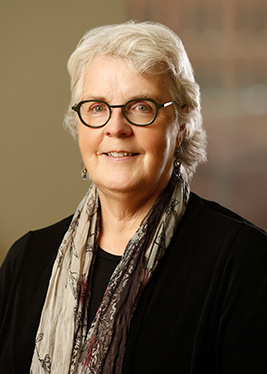 Her well-established program of research is focused on palliative care and end-of-life decision-making with emphases on the communication processes and practice patterns of care delivery in acute and long-term care settings. A nationally recognized expert in palliative care research and qualitative and mixed-method research designs, she has worked successfully across professions to improve communication and understanding surrounding systems of palliative care and hospice delivery, and to pinpoint the approaches most meaningful to patients and families that lead to the highest quality outcomes. Norton is a fellow of the Hospice and Palliative Care Nurses Association (HPNA) and the American Academy of Nursing. She also serves as a co-director of research for the Division of Palliative Care in the Department of Medicine at the University of Rochester and holds a secondary appointment in the School of Medicine and Dentistry. She was honored with the Distinguished Researcher Award from the HPNA in 2017, and was named Palliative Care Nurse of the Year by the March of Dimes in 2013, and a Distinguished Practitioner by the National Academies of Practice in 2006. The problem often is that we do not have a family spokesperson but a spokesgroup. Family member informal roles in end of life decision making in adult intensive care units. Is Palliative Care at the End of Life Cost Saving? Measuring End-of-Life Care Processes in Nursing Homes. What bothers you the most? Initial responses from patients receiving palliative care. Palliative Care Consultations: 2 Years and Counting with Timothy Quill, M.D. and Jeffrey Allen, M.D. Gramling, Robert; Gajary-Coots, Elizabeth; Stanek, Susan; Dougoud, Nathalie; Pyke, Heather; Thomas, Marie; Cimino, Jenica; Sanders, Mechelle; Alexander, Stewart C.; Epstein, Ronald; Fiscella, Kevin; Gramling, David; Ladwig, Susan; Anderson, Wendy; Pantilat, Stephen; Norton, Sally A. (n.d.). Design of, and enrollment in, the palliative care communication research initiative: a direct-observation cohort study. BMC PALLIATIVE CARE, 19 (14), 40. Gramling R, Stanek S, Han PKJ, Duberstein P, Quill TE, Temel JS, Alexander SC, Anderson WG, Ladwig S, Norton SA. (2018). Distress Due to Prognostic Uncertainty in Palliative Care: Frequency, Distribution, and Outcomes among Hospitalized Patients with Advanced Cancer. Journal of Palliative Medicine, 21 (3), 315-321. PMID: 28920751 DOI: 10.1097/MLR.0000000000000835. Darlington, AE; Korones, DN; Norton, SA. (2017). Parental coping in the context of having a child who is facing death: A theoretical framework. Palliative and Supportive Care, 1-10. Temkin-Greener, H. Ladwig, S. Ye, Z. Norton, S. A. Mukamel, D. B. (2017). Improving palliative care through teamwork (IMPACTT) in nursing homes: Study design and baseline findings. , 56, 1-8. Dougoud, N., Stanek, S., Norton, S., & Gramling, R. (2017). Use of Secondary Data for Doctoral Dissertations. Nursing Research, 66 (2), E30-31. Casarett, DJ; Norton, SA; Dy, SM; Herr, K; Rotella, JD; Ast, K; Lupu, D; Matzo, M (2016). Making Your Measurement Matter: Implementing the AAHPM & HPNA Measuring What Matters Project. Journal of Pain and Symptom Management., 51 (2), 335-335. Mammen, J., Rhee, H., Norton, S.A. (2016). It's Just My Normal Symptoms:'Understanding Teen Asthma Self-Management. , 15 (1). Gramling R, Sanders M, Ladwig S, Norton S, Epstein R, Alexander S (2015). Goal Communication in Palliative Care Decision-Making Consultations. Journal of Pain and Symptom Management, 55 (5), 701-6. Alexander SC, Garner DK, Somoroff M, Gramling DJ, Norton SA, Gramling R (2015). Using music[al] knowledge to represent expressions of emotions. Patient Education and Counseling, 98 (11), 1339-45. Dy SM, Kiley KB, Ast K, Lupu D, Norton SA, McMillian SC, Herr K, Rotella JD, Casarett DJ. (2015). Measuring What Matters: Top-Ranked Quality Indicators for Hospice and palliative Care from the American Academy of Hospice and Palliative Medicine and Hospice and Palliative Nurses Association. Journal Pain Symptom Manage. Casarett, DJ, Norton, S, Morss, S. Herr, K, Rotella, JD, Lupu, D (2015). Making Your Measurement Matter: The AAHPM & HPNA Measuring What Matters Project. Journal of Pain and Symptom Management, 49 (2), 345-346. Temkin-Greener H, Ladwig S, Caprio T, Norton S, Quill T, Olsan T, Cai X, Mukamel DB (2015). Developing palliative care practice guidelines and standards for nursing home-based palliative care teams: a delphi study. Journal of American Medical Director Association, 16 (1), 86. Alexander, S.C., Ladwig, S., Norton, S.A., Gramling, D., Davis, J.K., Metzger, M., DeLuca, J., Gramling R. (2014). Emotional distress and compassionate responses in palliative are decision-making consultations: A direct observational study. Journal of Palliative Medicine. DOI:10.1089/jpm.2013.0551.e-Pub http://online.liebertpub.com/doi/abs/10.1089/jpm.2013.0551. Norton,S.A., Waldrop, D., & Gramling, R. (2014). Interprofessional Teams, Palliative Care, and Ethics.. T.E. Quill and F.G Miller (Eds.) Palliative Care and Ethics: Common Ground and Cutting Edges., 66-87. Lowey S.E., Norton S.A., Quinn, J.R., Quill T.E. (2014). A Place to Get Worse: Perspectives on Avoiding Hospitalization From Patients With End-Stage Cardiopulmonary Disease. Journal of Hospice & Palliative Nursing, 16 (6), 338 - 345. Metzger, M., Norton, S. A., Quinn, J. R, Gramling, R. (2013). "That Don't Work for Me"; Patients' and Family Members' Perspectives on Palliative Care ans Hospice in Late-Stage Heart Failure.". Journal of Hospic & Palliative Nursing, 15 (3), 177-182. Metzger, M., Norton, S.A., Quinn, J.A. & Gramling, R. (2013). Patient and family members' perceptions of palliative care in heart failure.. Heart & Lung: The Journal of Acute and Critical CareDoi:10.1016/jhrtling.2012.11.002.http://www.sciencedirect.com/science/article/pii/S0147956312003986, 42, 112-119. Lowey, S., Norton, S.A., Quinn, J.R. and Quill T.E. (2013). Living with Advanced Cardiac or COPD.. Research in Nursing and Health Doi:10.1002/nur.21546. [Epub ahead of print] http://www.ncbi.nlm.nih.gov/pubmed/23754626. Gramling R., Norton, S.A., Ladwig, S., Winters, P., Metzger, M., Quill, T., Alexander, S. (2013). Latent Classes of Prognosis conversations in Palliative Care: A Mixed -Method Study.. Journal of Palliative Medicine, 16 (6), 653-660. Gramling, R., Norton, S.A., Ladwig, S., Metzger, M., DeLuce, J., Gramling, D., Schartz, D., Epstein, R., Quill, T., Alexander, S. (2012). Direct Observation of Prognosis Communication in Palliative Care: A Descriptive Study. Journal of Pain and Symptom Management, Online ISSN 0885-3924, 10.1016/j.jpainsymman. 2012.02.004http://www.sciencedirect.com/science/artilce/pii/S0885392412001522. Baggs, J.G., Schmitt, M., Prendergast, T.J., Norton, S.A., Sellers, C.R., Quinn, J.R., Press, N. (2012). Who is attending? End-of-life decision making in the intensive care unit.. Journal of Palliative Care Medicine, 15 (1), 56-62. Quinn, J.R., Schmitt, M.H., Baggs, J.G., Norton, S.A., Dombeck, M.T., & Seller, C.R. (2012). The problem often is that we do not have a family spokesperson but a spokes group': Family member informal roles in end-of-life decision making in adult intensive care units.. American Journal of Critical Care, 21 (1), 43-51. Mukamel, D.B., Caprio, T., Ahn, R., Zheng, N.T., Norton, S.A., Quill, T.E., Temkin-Greener, H. (2012). End of life quality of care measures for nursing homes: Place of death and hospice.. Journal of Palliative Medicine, 15 (4), 438-446. DeLuca, J.M. Kearney, M. H., Norton, S.A.,& Arnold, G.L. (2011). Parents' Experiences of Expanded Newborn Screening Evaluations.. Pediatrics, 128, 53-61. Powers, B.A., Norton, S.A., Schmitt, M.H., Quill, T.E. & Metzger, M. (2011). Meaning and Practice of Palliative Care for Hospitalized Older Adults with Life Limiting Illness.. Journal of Aging Research, 8. Ladwig, S., Norton, S., Gramling, R., and Metzger, M. (2011). The Conversation Bank Cohort: A Feasibility Study(Abstract #734). The Journal of Pain and Symptom Management, 41 (1), 292. Norton, S.A., Powers, B.A., Schmitt, M.H., Metzger, M., Fairbanks, E., Deluca, J. and Quill, T.E, (2011). Navigating Tensions: Integrating Palliative Care Consultation Services into an Academic Medical Cneter Setting.. Journal of Pain and Symptom Management. Temkin-Greener, H., Zheng, N., Norton, S., Quill, T., Ladwig, S., Veazie, P. (2009). Measuring End-of-Life Care Processes in Nursing Homes. The Gerontologist (49), 803-815. Wiegand, D., Norton, S. A., and Baggs, J. G. (2008). Challenges in Conducting End of Life Research in Critical Care. AACN Advanced Critical Care, 10 (2), 170-177. Shah M.J., Quill T.E., Norton S.A., Lam Y., Buckley M. and Fridd C. (2008). "What's bothering you the most: Concerns of palliative care patients.". American Journal of Hospice and Palliative Care Medicine, 25 (2), 88-92. Norton, S. A., Hogan, L., Holloway, R., Temkin Greener, H., Buckley, M., & Quill, T. E. (2007). Proactive Palliative Care in the Medical Intensive Care Unit: Reducing Length of Stay for Selected High Risk Patients. Critical Care Medicine, 35 (6), 1530-1535. Baggs, J. G., Norton, S. A., Schmitt, M. H., Dombeck, M. T., Sellers, C. R., & Quinn, J. R. (2007). Intensive Care Unit Cultures and End-of-Life Decision Making. Journal of Critical Care, 22 (2), 159-168. Bowers, B.J., Esmond, S.E., Norton, S.A., Holloway, E (2006). The Consumer/Provider Relationship as Care Quality Mediator. Consumer Voice and Choice in Long Term Care, 153-166. Quill, T., Norton, S., Shah, M., Lam, Y., Fridd, C. & Buckley, M (2006). What is Most Important for you to Achieve? An Analysis of Patient Responses When Receiving Palliative Care Consultation. Journal of Palliative Medicine, 9 (2), 382-388. Murphy, N., Canales, M., Norton, S. A., & DeFilippis, J. (2005). Striving for Congruence: The Interconnection Between Values, Practice and Political Action. Policy, Politics and Nursing Practice, 6 (1), 20-29. Norton, S.A., Baggs, J.G., Schmitt, M., Sellers, C.R., Quinn, J.R., Dombeck, M.T (2004). ICU Family Meetings for Adults Near the End of Life: Unpacking a Common Intervention. Journal of Palliative Medicine, 7 (160). Baggs, J.G., Norton, S.A., Schmitt, M.H., & Sellers, C.R. (2004). The Dying Patient in the ICU: Role of the Interdisciplinary Team. Critical Care Clinics, 20 (3), 525-540. Norton, S.A. & Quill, T.E. (2004). Complex Questions Embedded in Tracheotomy Decisions. Head & Neck, 26 (1), 75-76. Baggs, J.G., Dombeck, M., Quinn, J.R., Norton, S.A., Schmitt, M., Sellers, C.R. (2004). Limitations of Treatment Decision Making in the ICU: An Ethnographic Study (Symposium Abstracts). 2004 Congress Proceedings: National Congress on the State of the Science in Nursing Research, 80-85. Hart, K.D., Norton, S.A. (2003). Legal and Ethical Issues in Disaster Response. In T. G. Veenema (Ed. ), Disaster Nursing and Emergency Preparedness for Chemical, Biological and Radiological Terrorism and Other Hazards, 82-103. Norton, S.A., Tilden, V.P., Tolle, S.W., Nelson, C.A., & Eggman, S.T. (2003). Life Support Withdrawal: Communication and Conflict. American Journal of Critical Care, 12, 548-555. Norton, S.A., Bowers, B.J. (2001). Working Toward Consensus: Provider's Strategies to Shift Patients from Curative to Palliative Treatment Choices. Research in Nursing & Health, 24, 258-269. Norton, S.A., Talerico, K.A. (2000). Facilitating End-of-Life Decision Making: Strategies for Communicating and Assessing. Journal of Gerontological Nursing, 26 (9), 6-13. Canales, M.K., Bowers, B., Norton, S.A. (2000). Becoming Part of a Community: Teaching Strategies of Latina Nursing Faculty. Nursing and Health Care Perspectives, 21, 228-233. Norton, S.A. (2000). Research on End of Life Care: Provider Comfort and Experience: Two Conditions for End of Life Planning. Communicating Nursing Research, 33 (152). Riesch, S.K., Von Sadovsky, V., Norton, S.A., Pridham, K. (2000). Moral Reasoning Among Graduate Students in Nursing. Nursing Outlook, 48 (2), 73-80. Baker, C.A., Bowers, B., Ryther-Clark, B.J., Norton, S.A., Canales, M.K. (1999). Self and Identity Through an Interactionist Lens: Constructions and Consequences. International Images of Health: Perspectives, Power and Practice, 66-77. Baker, C., Norton, S.A., Young, T., Ward, S. (1998). An Exploration of Methodological Pluralism in Nursing Research. Research in Nursing and Health, 21, 545-557. Bowers, B., Esmond, S., Holloway, E., Norton, S.A (1996). Quality Care: The Perspectives of Frail Elderly. Wisconsin Bureau of Long Term Support, Division of Community Services, Department of Health and Family Services.